TSJITSKE FAN SINSERHUS - PROV KROON (Sape 381 x Olof 315 x Oege 267) 5/2006 FHANA Friesian 2009 Grand Champion & Champion Mare and 2010 Reserve Champion 2x - 1st Premie Prov. Kroon mare! Imported from the Netherlands at 6 months old. Tall, stocky and extremely flashy! Proud, floaty movement with lots of power. 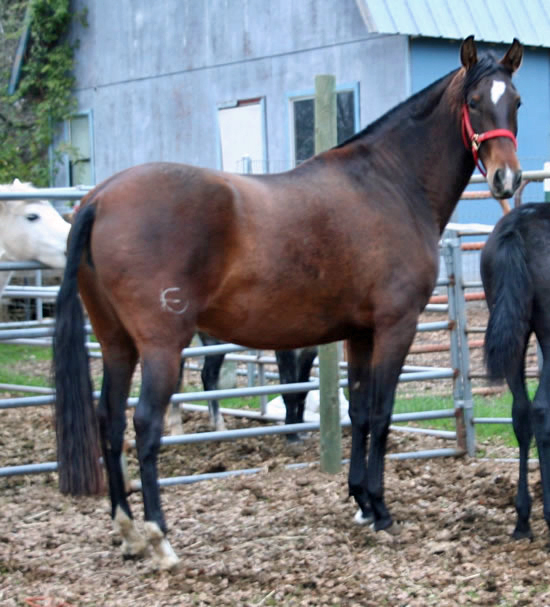 This mare has an amazing personality and just loves people. Easy to handle and a blast to ride. Lots of hair! 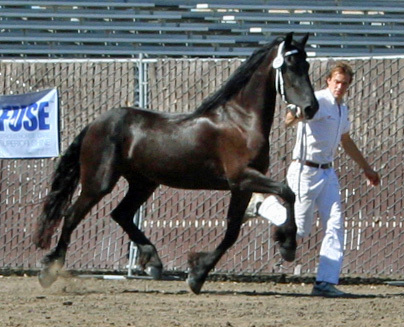 Started dressage training in August 2009. In foal to Lolke 371 for 2015! TRIXIE VAN DE WETERINGHOEVE - STER (Jasper 366 x Abel 344 x Leffert 306) 5/2006 FHANA Friesian Mare - 2nd Premie Ster, Full papered mare! Bred in the Netherlands by KFPS Judge and Imported from the Netherlands at 6 months old! Tall and elegant with a beautiful swan neck. Extremely floaty movement. 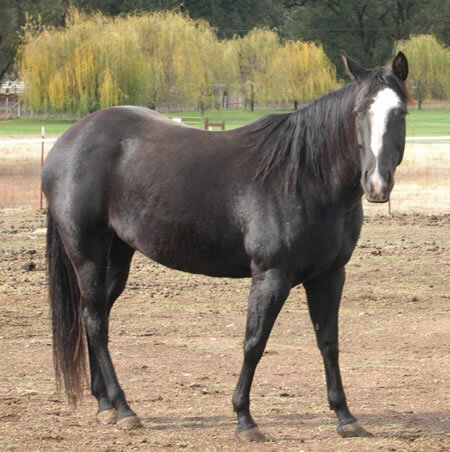 This mare is super sweet and loves to please. Easy to handle, will do anything. Trixie was ridden in the 2011 National Fruit of the Loom commercial! 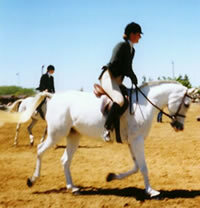 Started dressage training in August 2009. CARRE RS (Mintse 384 x Rypke 321 x Obe 314 x Bendert 281) Trude's legacy lives on in our sweet "Care Bear". Carre is such a pleasure to be around. She is very loving, "in your pocket" type of girl and has oodles of hair. She has a beautiful, floaty trot, and a big thick neck. She is easy to handle and will do anything to please. Did I mention she loves playing in the water! She is such a clown. 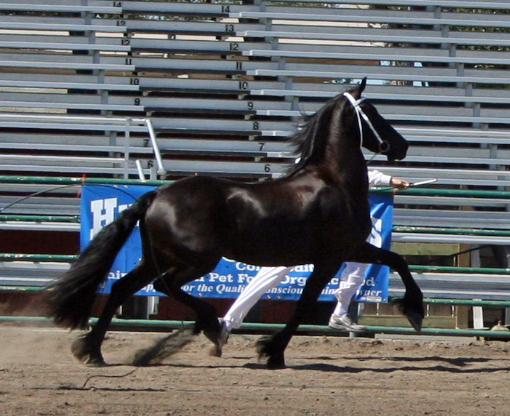 Carre earned 1st premie Champion as a filly at her 2008 Keuring! Will be presented at the 2015 keuring for Ster! HANNE RS (Nanning 374 x Jasper 366 x Anton x Lammert) FHANA Friesian Mare. 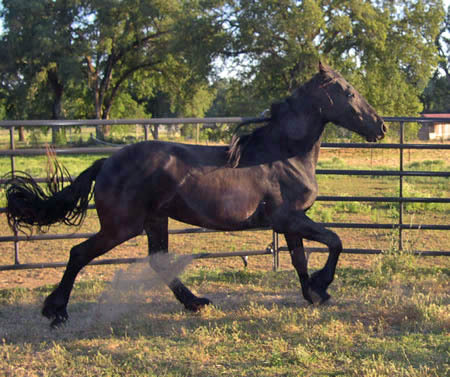 Hanne, aka "Hanne Banana" is from our Full papered Jasper mare, Mindra ISF. Her Mother was ridden in the 2011 National commercial for Fruit of the Loom! Hanne is very upright and has incredible movement. She is getting to be a big girl all ready. She is super sweet and loves attention. I can't wait to get this girl started under saddle! Will be presented at the 2015 keuring for Ster! VAQUERA IX - P.R.E. 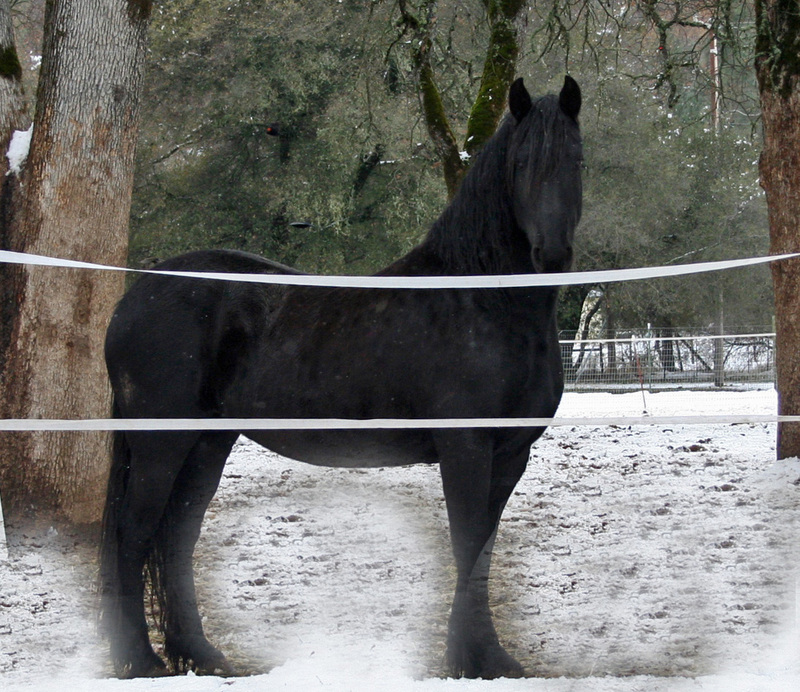 Andalusian Mare (Indiano XVIII x Adelante II) 16h grey mare. Vaquera's Father is the one and only "Lion of Spain", Indiano XVIII. 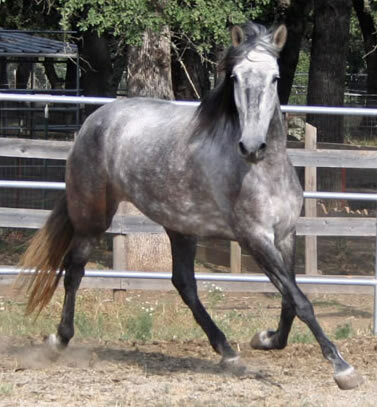 Indiano's beauty and incredible movement have been passed on to his daughter Vaquera. Her temperament is so sweet and giving, always wanting to please. And talk about personality! She plays with everything and is "in your pocket"! 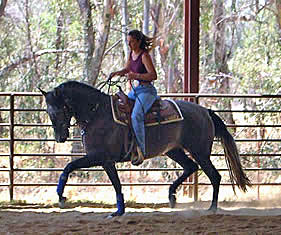 Very fancy mover and a blast to ride. Vaquera also carries the color gene! 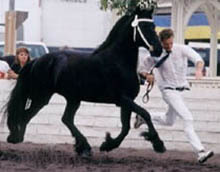 Vaquera was Revised in the Spanish studbook by the Cria at 3 years old! 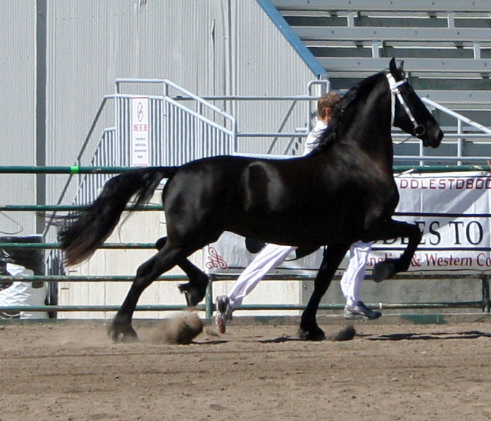 ** See 2010 Black Stallion for sale "Aramis RSA" by Calisto MHF! ANEIRA- "means Truly Golden in Gaelic" - 2005 Pure Gypsy Mare - Palomino (Flash of Gold x The Raini Mare - by The Boss) Imported from England. 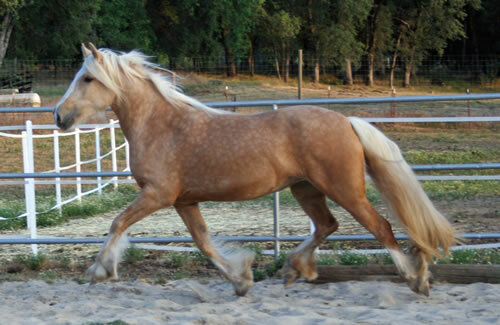 Super rare color, true palomino! Her Father is a golden Palomino 15.2 h stallion and her Mother is a black and white mare still currently living in the UK. Aneira is super sweet and very gentle. She is a powerful, flashy mover with an elegant and refined build.